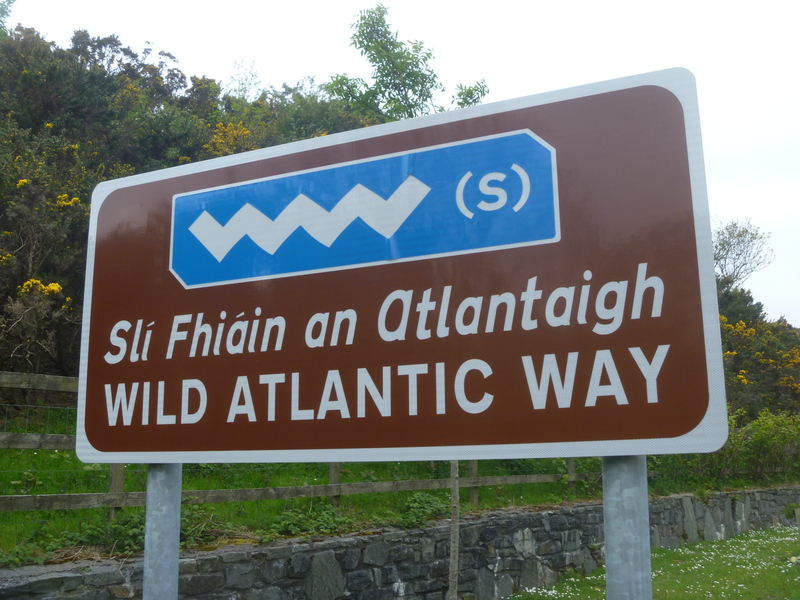 Ireland’s Wild Atlantic Way was introduced to the world a couple of years ago, transforming the wild west coast of Ireland, from Kinsale in the south to Donegal in the north, into one of the world’s epic road trips. In my family, the Galway section of the WAW is just known as “going on your holidays”. And so it is that Mum and I find ourselves joining the hordes of German, British, Italian and French tourists on the back roads of Connemara in the middle of August. Salthill was where our childhood holidays were always based, so we start here with a hearty lunch of seafood chowder and toasted cheese sandwiches. 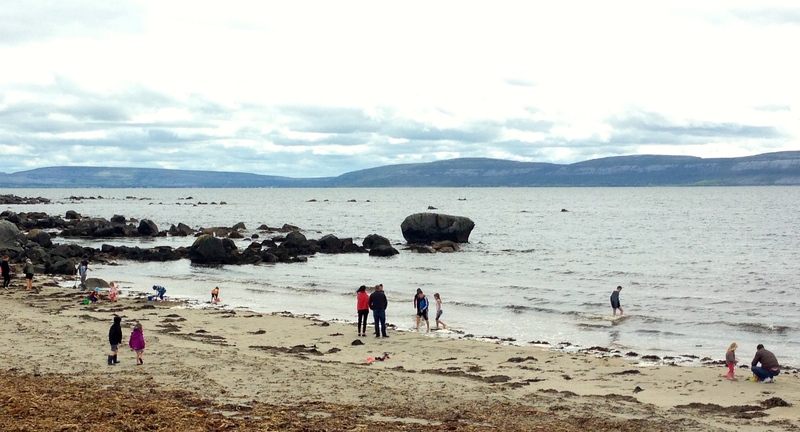 I walk off lunch along the promenade, watching children and adults alike swimming in the chilly Atlantic waters. Driving out of Salthill we point out the various caravan sites we stayed in over the years, from McDermott’s Field to the fancier Ryan’s Caravan Park, from the posh pilot’s mobile home on the seafront to the isolated but amazingly situated caravan on Gentian Hill. So many memories, going back so many decades. On we drive, past the handball alley that marks the turn to the Silver Strand, and down to our first stop at Furbo Beach. The day is chilly enough for a long-sleeved jumper, but families are playing on the strand and the view across to the Cliffs of Moher is as spectacular as ever. 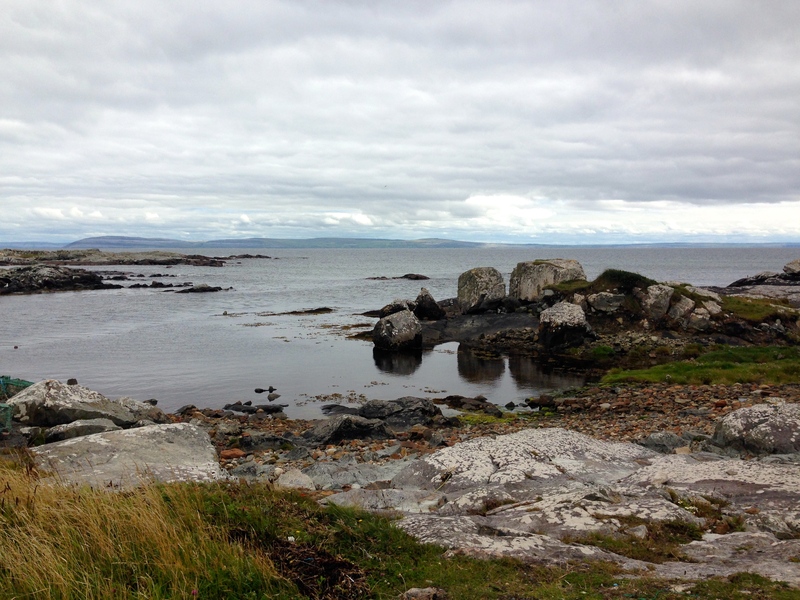 Through Spiddal, we carry on with Galway Bay never more than a mile from our left shoulder. In time, the two smaller Aran Islands come into view, Inis Oir and Inis Meáin. 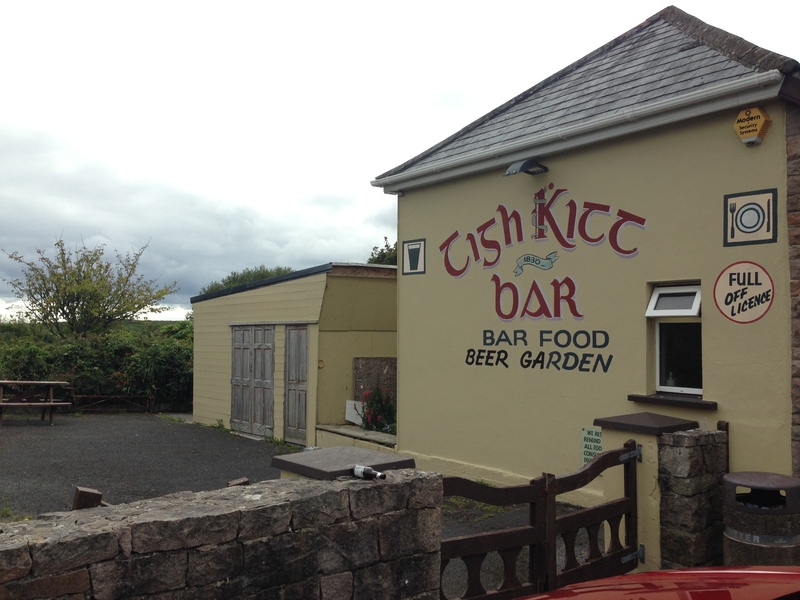 We pass the village where I went to Gaeltacht summer school to improve my Irish. In those days most of the houses in and around Indreabhán didn’t have electricity, and the students were issued with candles on arrival. This was in the very early eighties. Turning left at Baile na hAbhainn, I am horrified to see the little local harbour I loved so much from that time now signposted in blue and white to the tourist masses: is nothing sacred? I literally take a trip down memory lane, down the boreen past my bean an tí’s house and the cowshed where she used to retrieve fresh milk every morning for the breakfasts. Past pristine white-walled dormer bungalows and the odd beautiful thatched cottage, past dry stone walls and heather and the odd cow, we finally come to a stop at the tiny quay. Nothing much has changed here over the decades, except now most of the traditional currachs have outboard motors, and some blokes in a camper van have stopped there for a spot of lunch. How rude. I clamber around the rock pools and stare out to sea whilst Mum supervises the quay area. I’m not sure I want to share my little secret place with random tourists. Back inland, we stopp at Tigh Kitt’s for a pot of tea and some bourbon creams. I’m not sure what is being celebrated in this tiny local pub on a random Tuesday afternoon, but there are plenty of locals in there having a good time. 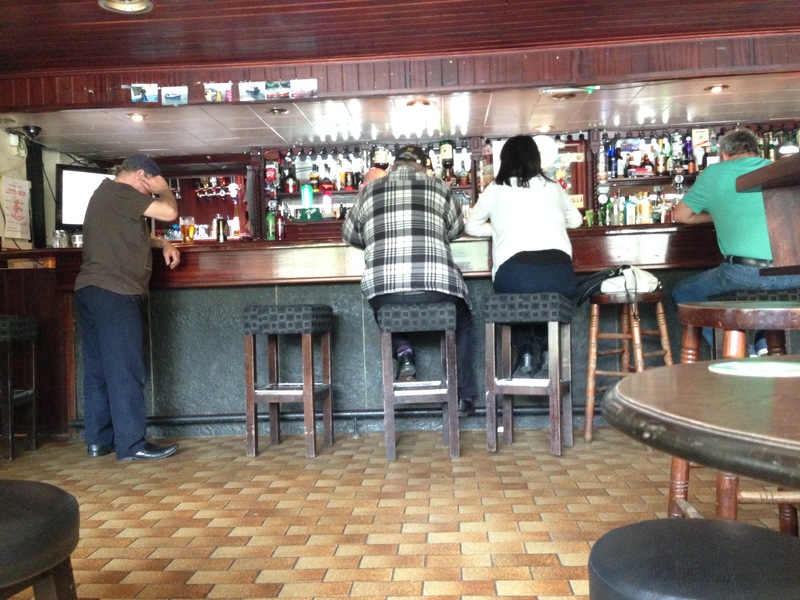 We are the only non-drinkers, the only non-locals, the only non-Irish speakers. The tea is bloody good. Carefully turning right so as to avoid getting lost on Leitirmór (a bit of a family habit), we follow the winding road through spectacular scenery, passing the villages of Casla, Cámus and Scríob before we reach the Hollywood heights of Maam Cross, a favourite stop for American tourists of a certain age wishing to visit a replica of the cottage in the movie “The Quiet Man” (which was actually filmed a fair few miles away in the village of Cong). We turn left onto one of the least scenic routes in Connemara, that is to say only moderately spectacular. The road sweeps past beautiful lakes with romantic names like Lough Shindilla, Oorid Lough, Lough Nacoogarrow and the Middle-Earth-sounding Garroman. At Ballynahinch Lake we are tempted to turn left and stop for a pint at Ballynahinch Castle, recently renovated I am told and even more delightful than ever, but we soldier on, anxious to find our hotel. Turning into the picturesque town of Clifden, the Clifden Station Hotel greets us on the left hand side. It’s a pretty large complex, complete with leisure centre, day spa, its own theatre and a bar in the old train station building. It might be modern, but the welcome is warm and friendly as Edel checks us in and takes a dinner reservation. Later downstairs, we feast on the freshest of local produce served with the heartiest side dish of vegetables I’ve seen in a while. Mum is charmed into ordering dessert and I have another glass of red. 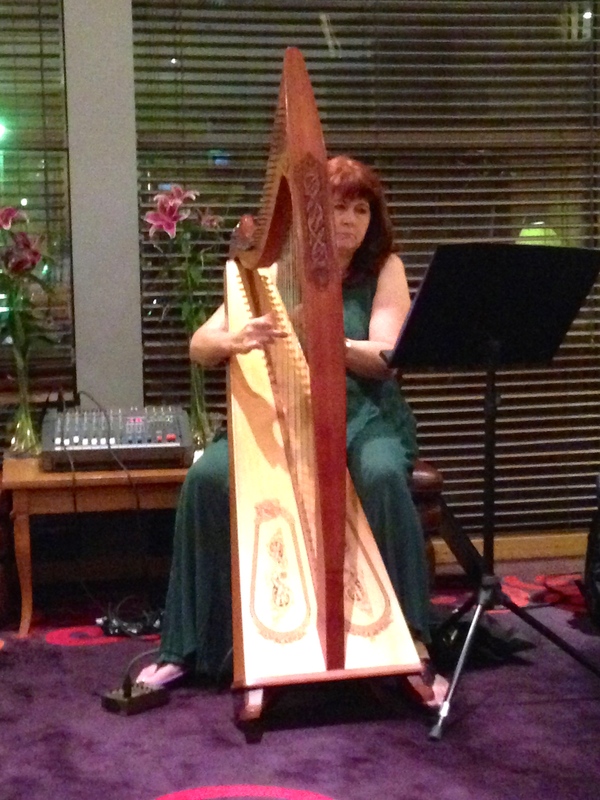 After dinner we are entertained by an auburn-haired harpist who favours the works of O’Carolan but throws in a cheeky rendition of Leonard Cohen’s “Hallelujah” for good measure. We’re only 300km or so from Dublin but as always, Connemara feels like a world away. Tomorrow will bring more memories and more new experiences, as we explore our favourite corner of Ireland.